Ecotourism is on the rise around the world, as people are seeking to be more environmentally friendly. Sound like a good idea to you? Why not spend your next vacation at an eco-retreat? Learn about sustainability, farm to table practices, holistic healing, health and wellness, and so much more! Hike through beautiful trails, canoe through crystal clear waters, and eat fantastic farm-fresh foods. One of our favorite and unique listings, Farm to Fork Organic Retreat and River Adventure, is located along the Buffalo River in Wisconsin, just south of Eau Claire and East of Minneapolis a couple hours. This secluded retreat offers 15 acres with wooded trails, organic gardens, kayaking, canoeing, frisbee golf, sauna, and a workshop offering a variety of classes. 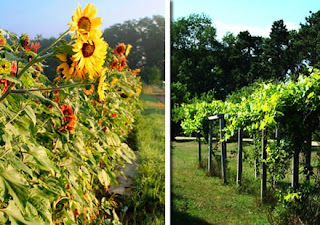 The 4 acre organic garden offers guests the experience of how farm to table works, with the pleasure of seasonal eating! 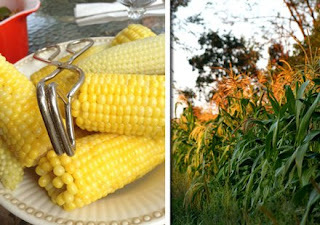 Seventy percent of the food served is grown right on the property, with the rest sourced by other local farmers. This great escape offers a quarter mile of private river frontage along the Buffalo River, making it a perfect place to paddle away in a kayak or take a nice swim to cool off! 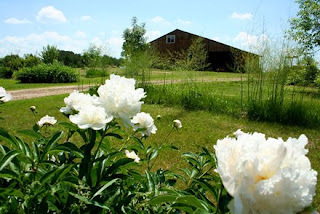 The retreat also offers natural, homeopathic practices with health and nutritional consultations. If you want to get away from it all, while learning about self sustainability and holistic practices, you have to give this place a try! Stay tuned, we have more fantastic eco-friendly and organic vacation destinations coming your way! If you want more information on our ecotourism options, contact our Travel Specialist! We love to help our customers find the perfect place for their eco-friendly vacation! Family Spring Break. It's Not Too Late!